The secret of Panda’s uniquely flavoured liquorice lies in their meticulous selection of raw materials, careful cooking and a production process rich in tradition, making the perfect liquorice combinations by adding the natural flavours of mint, chocolate and raspberries. All natural ingredients with no preservatives. Please note: suitable for vegetarians, but not vegans. Molasses syrup, wheat flour, sugar, cocoa butter, liquorice extract, vegetable fat, whole milk powder, cocoa mass, maize starch, rice starch, glucose syrup, thickener (gum arabic), pasteurised raspberry puree, glazing agent (carnauba wax, vegetable oil). The Panda Liquorice Mix - 200g product ethics are indicated below. To learn more about these product ethics and to see related products, follow the links below. There are currently no questions to display about Panda Liquorice Mix - 200g. 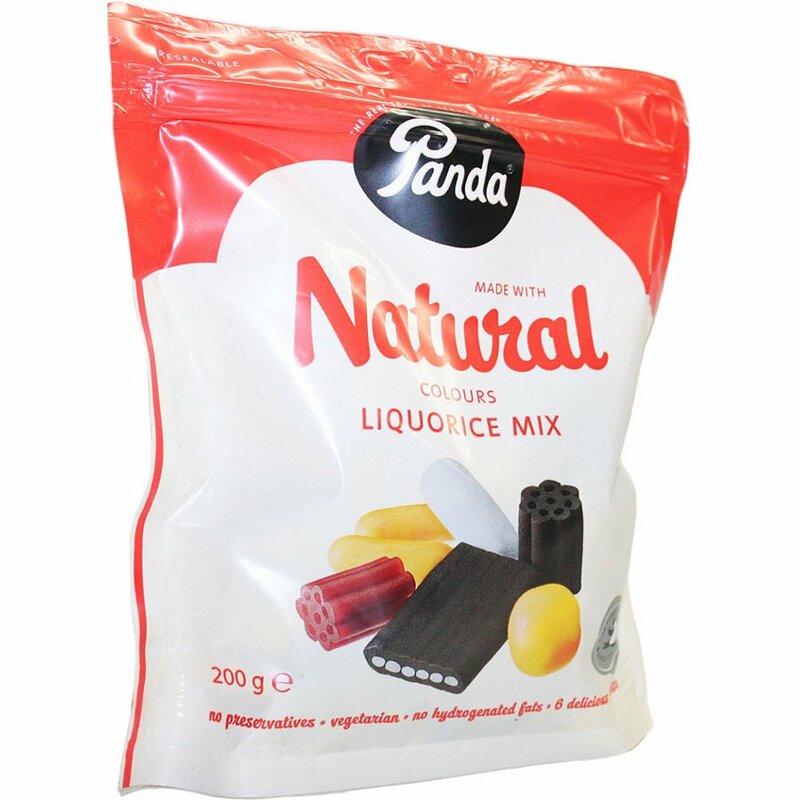 Panda is proud to have been producing the world’s leading premium quality licorice since 1927. 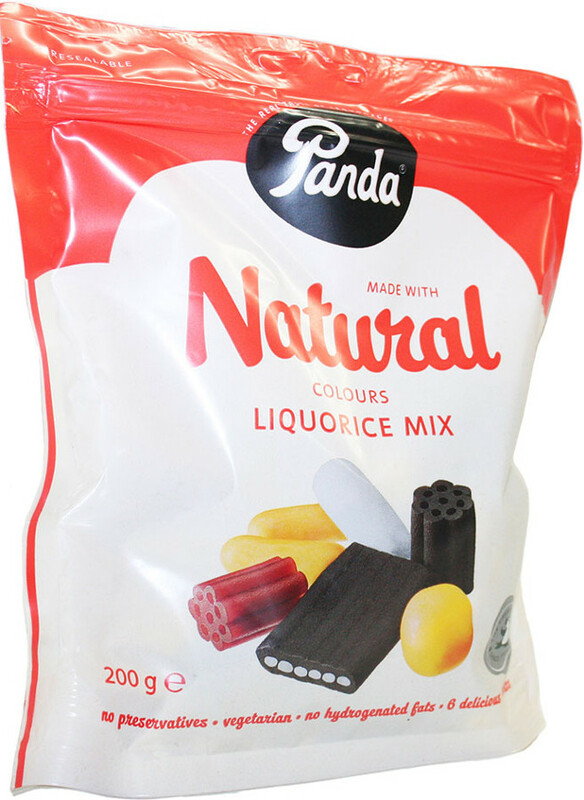 The unique Panda flavour lies in the fact that only 4 ingredients are carefully combined to produce a “no nasties” premium quality licorice which you are bound to love.